Imagine your event space or church with this near 7 foot spectacular floor candeleabra. It will add soft lighting and elegance to any event. 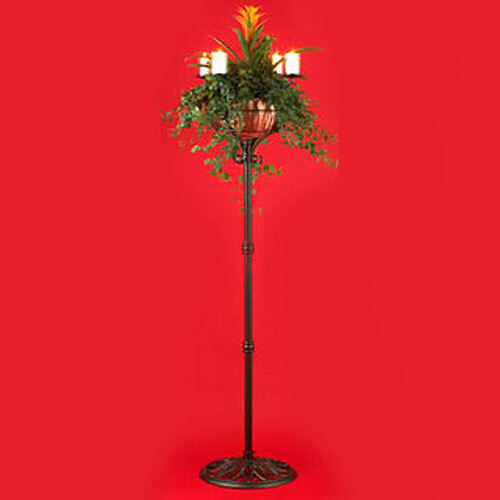 Heavy cast iron base, metal pole make this very sturdy and the copper bowl on top is used as a planter for elegant floral arrangements or large ferns and lifts off for easy transport. Oil candles sit within each glass sleeve to stay within fire code. Battery operated candles are also available.